Spørsmål: Jeg kan bevise at et maleri har en maler. Kan du bevise «skapelsen» har en «Skaper»? Hvorfor skulle noen prøve og bevise at et maleri hadde en maler? Det er selvinnlysende. Selv et barn vet at et maleri ikke kan male seg selv. Det er av den grunn man heller ikke trenger prøve å bevise at skapelsen har en Skaper. Hvert menneske vet intuitivt at Skaperen er tydelig nettopp på grunn av skapelsen. 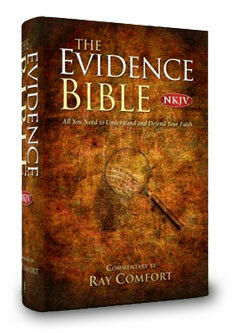 Ray Comfort is the best-selling author of more than 60 books. He is also the co-host of an award-winning television program (with actor Kirk Cameron) which is seen in 123 countries. He has spoken on the subject of atheism at Yale and other prestigious universities, debated on ABC's Nightline, written, God Doesn't Believe in Atheists, The Atheist Test (booklet--over one million copies sold), You can Lead an Atheist to Evidence But You can't Make Him Think, and, Evolution: A Fair Tale For Grownups (Bridge Logos). 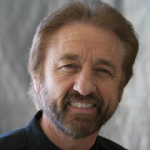 He was a platform speaker for American Atheists, Inc., at their 2001 National Convention. Ray and his wife Sue live in Southern California. All textual material published with written permission by Living Waters.